← A Special Field Dispatch – Piippa Tandefelt! Howdy doody my friends! It’s time for another rip-roarin’ edition of Funny Names in the News, and I must say, it’s good to be FNITNin’ again!! This Friday has me following a pretty breakneck schedule with anatomy lab in the morning, followed by MCAT class and an advisor meeting in the afternoon, so let’s work through FNITN in similarly breakneck fashion! Whoop dee doo! Jyoti Amge. Bigger than a breadbox? Jyoti Amge, the “world’s smallest woman” according to the Guinness Book of World Records, will be on American Horror Story next season. 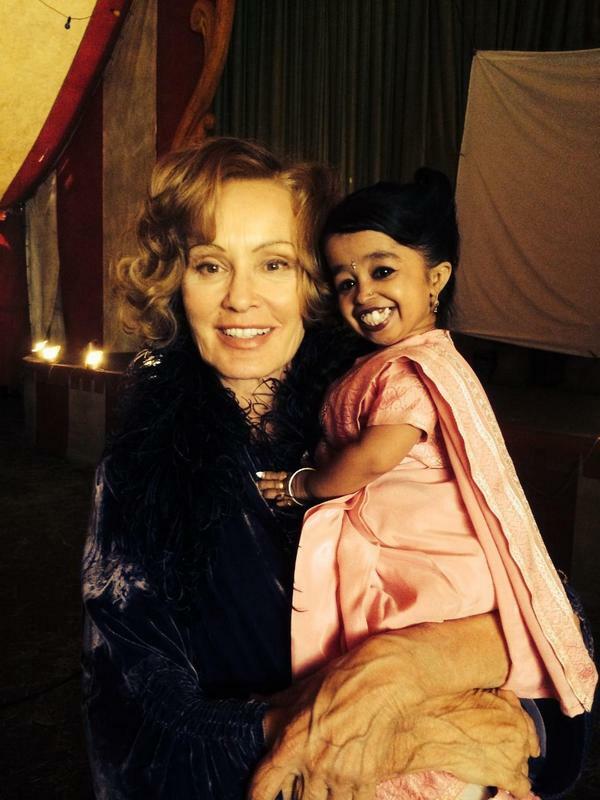 Amazing picture of her and co-star Jessica Lange [over there —->] – Jyoti is truly pocket-sized! In other hard-hitting news, our old pal Gennady Gennadyevich Golovkin recently beat Daniel “Real Deal” Geale by 3rd round knockout. Given Golovkin’s recent history, a knockout victory isn’t surprising, but over a top 3 middleweight… that’s darn impressive. Perhaps Triple G’s fists were flying at 3G speeds! A pretty fancy photo array. 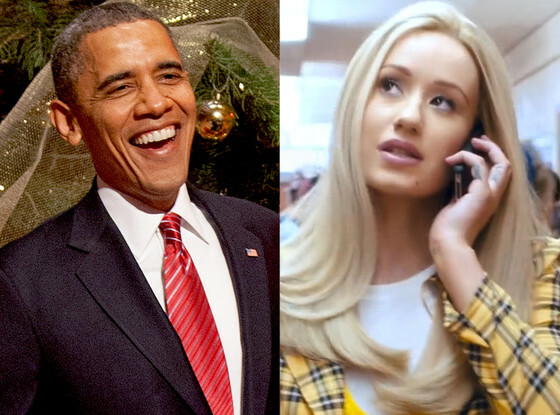 And in case “Fancy” isn’t your summer earworm of choice, maybe Iggy is telling Barack to “Call Me Maybe.” Whatever happened to Carly Rae Jepsen anyway? Spotted elsewhere: Angel Haze and Ireland Baldwin doing things. 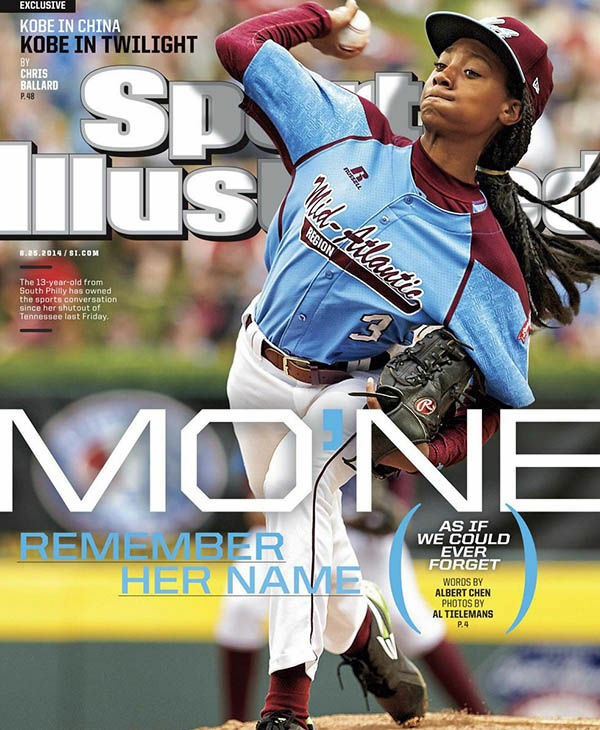 Mo’ne Davis on the cover of Sports Illustrated. Only slightly cooler than my team’s picture going on my mom’s fridge when I was 13. Circling back to small things and sports things, the Little League World Series has brought an impressive young lady named Mo’Ne Davis into the public eye. So much so that she’s landed on the cover of Sports Illustrated. Not only that, but the Happy Hurler is the first Little Leaguer ever to grace the cover of that esteemed publication. And lastly, in earth-shatteringly random news, Jimmy Kimmel’s “Celebrities Read Mean Tweets” segment has let us know that just in case Cookie Monster kicks the cookie jar and needs a replacement, we’ve got BoFN legend (and world-saver) Dikembe Mutombo Mplondo Mukamba Jean-Jacques Wamutombo ready to pick up the slack and fill in for the poor blue fella! Just check out 1:54 of the video below, and hear the resemblance for yourelf! Alright, that’s it for now. I have an important appointment with a bunch of formaldehyde in the morning. Enjoy your Fridays everyone! This entry was posted in funny names in music, funny names in sports, Funny Names In The News and tagged baseball, basketball, funny, funny names, humor, iggy azalea, little league, sports. Bookmark the permalink. by the way: patrick fitzgerald and gerald fitzpatrick were both students at my oldest daughter’s school at the same time. i loved it. I like those two names a lot!!!!!!!!!!!!!!!!!!!!!!!!!!!!!!!!!!!!!!!!!! Backwardly named and over r’ed are perfect descriptions. You must have eaten your Wheaties this morning. I’ve never heard of that Triple G boxer, but that does remind me that Jake LaMotta is on the 2014 Deathlist, the online list of celebs expected to pass this year. And man, those were some HARSH tweets to get all the way to Cookie Monster at the end. He would be a good fill-in, though. I hope he likes rubber duckies. Wow, I’ve never heard of the Deathlist… sounds a tad morbid, but interesting. It’ll be sad to lose Jake LaMotta, but he has lived a good, long life. I love Celebs Read Mean Tweets – every edition has been amazing! Having thick skin is certainly an asset if you’re a public figure. Oh goodness yes! I’m always in awe of how they do it! To be able to pitch like that is a gift. To make the cover of Sports Illustrated as a Little Leaguer, priceless. It’s ridiculous! There’s a part of me that wonders if it’s good for these kids to have such major exposure at such a young age, but I think it does help them develop as people, even if they may not all be bound for the major leagues! Them’s a whole lotta names, but I’m partial to your photo caption for Pres. Obama and Iggy. I hope Iggy realizes that part of her fame comes from her mention here at BoFN. Even Weird Al parodied Fancy and that’s for sure hitting the Big Time. Is Dikembe Mutombo the one with the video game you enjoyed? Speaking of BoFN history, I heard mention of the prancercise lady recently. A new video, I think. With real horses! Good to see your insanity continue at its usual breakneck pace. Carry on, carry on. Hate to be juvenile (just can’t help myself in this case)–be sure to check out 3:29 if you don’t know about it yet. Wow, what an amazing lady! She is a fascinating one! And good eyes, catching the 3:29 moment! Jonna Rohrback is a cultural treasure!!! !